BNP Secretary General Mirza Fakhrul Islam Alamgir on Friday said there is no question of Tarique Rahman’s resignation from the party post following his conviction in the August 21 grenade attack cases. “The lower court’s verdict is the reflection of political vengeance. It was given with an evil motive to weaken BNP. 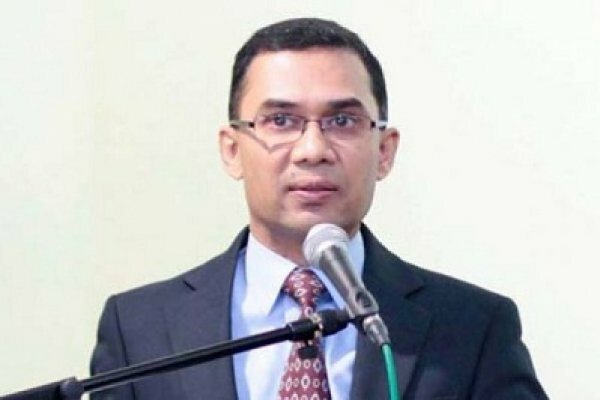 So, there’s no question of Tarique Rahman’s resignation based on such a verdict,” he said. He came up with the remarks while speaking at a press conference at the party’s Nayapaltan central office. “Even after knowing the fact, some people are suggesting that he (Tarique) should resign from the party. People can question them (who are asking Tarique to quit) whether they demanded government’s resignation for indulging in several hundred killings and enforced disappearances,” he said. Fakhrul alleged that a section of media has been making evil attempts to malign Tarique by publishing some ‘fabricated’ information about him after the announcement of the verdict in the August 21 grenade attack cases. The BNP leader said it is not justified to seek Tarique’s resignation from BNP since the verdict is acceptable and neutral. “The verdict was given with a political goal. So, our leader (Tarique) can’t resign after conviction through such verdict. It’s our party’s internal matter. We consider him (Tarique) our leader,” he observed.